ParQube APS with modular design to allow maximum flexibility for all available configurations having a wide range of options to meet customer needs. Easy customization of the front panel to provide customer aesthetics. Configurable to allow an optimized and cost effective solution. Payment at an automated payment station has never been so modern, so simple and so fast! 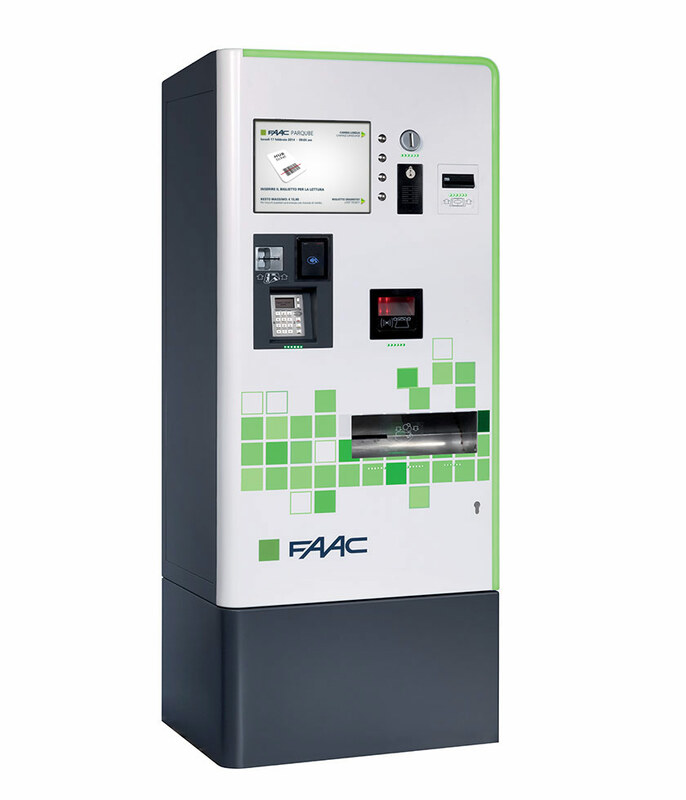 Thanks to the newly created layout and with the use of the most up-to-date technologies, the brand new ParQube automated pay station offers maximum flexibility for car park operators. It has been designed for user simplicity. The large display screen and ergonomic layout guides users to allow effortless payment for parking as well as offering the flexibility to accept all of the most popular payment means available. The new station affords the highest level of security against unauthorized access with strict audit control of all transaction income and money change within the station. The cabinet has a strong and robust internal and external structure. All components are designed for simple and rapid maintenance with a modular layout that gives great flexibility for future requirements. Assembly is carried out to the highest standards taking into consideration many years of experience from our numerous installations around the world. The automated payment station is linked to the management system by a TCP/ IP network. To put it simply… ParQube provides the best value for your money.